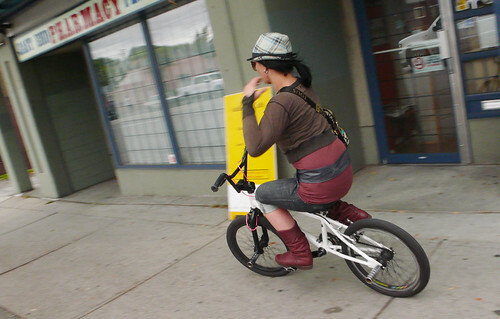 Hipster girl with hat cruising Commercial Drive on a BMX. 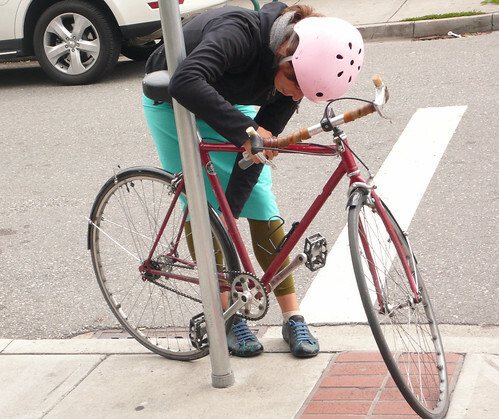 Locking her loved one to a sign post. Great pink helmet! 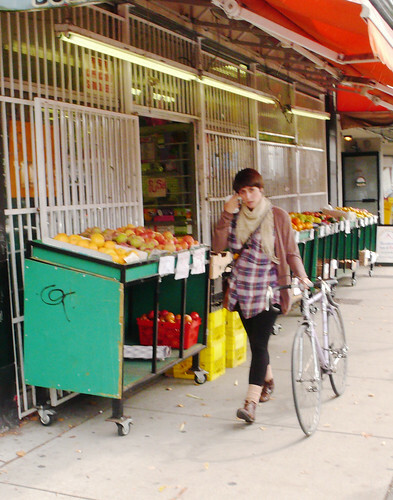 Taking her bike for a stroll on the sidewalk. 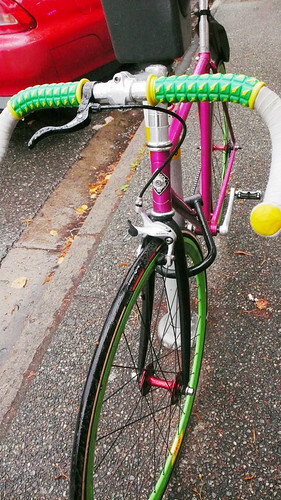 And this bike should win a medal for its vibrant custom color combination! 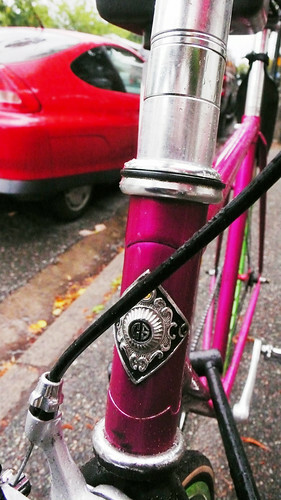 Vancouver is a cycle chic gold medal winner! Gorin Brothers hats rock and is that turquoise a pencil skirt? Ride on! Very chic indeed - those girls look ace!